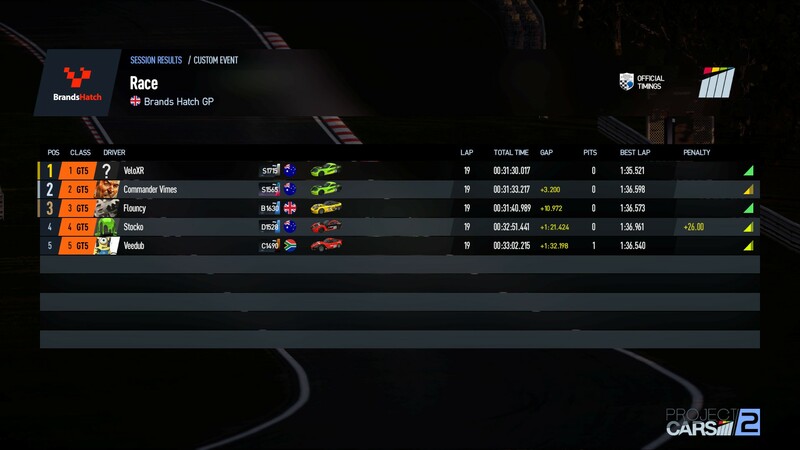 Welcome to the Atomic Sim Racing Championship Season 4 Round 6. Will miss this one as I'm still away for work but should be back for round 7. Anonymous poll added. If there are 0 "no" votes by Friday 6:00pm we'll do the full track. "Yes" votes don't really as a few people have asked to change it to the full config. It's not fair to change the config if someone has prepped for the Indy course based on the track list. 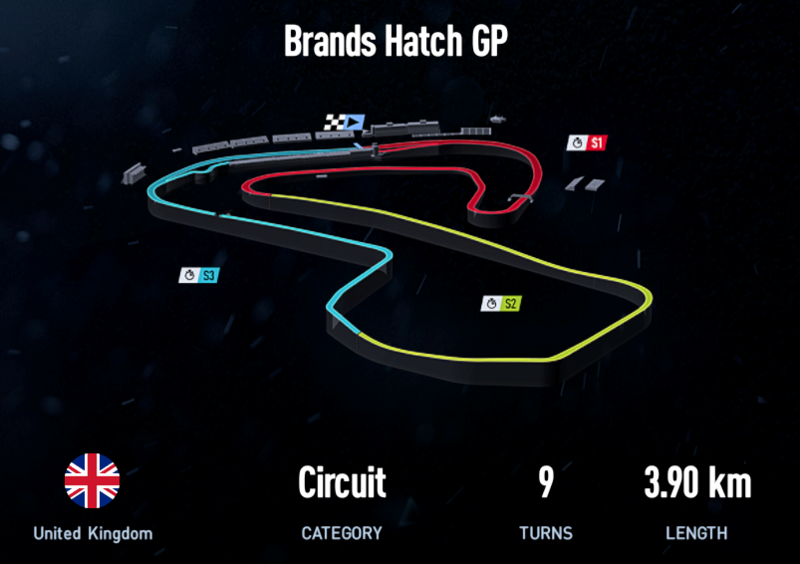 Track officially changed to Brands Hatch Full. Hey Tran. You need to cross the line after 1st place crosses the finish line. The countdown timer that appears counts how long is left before the session ends. 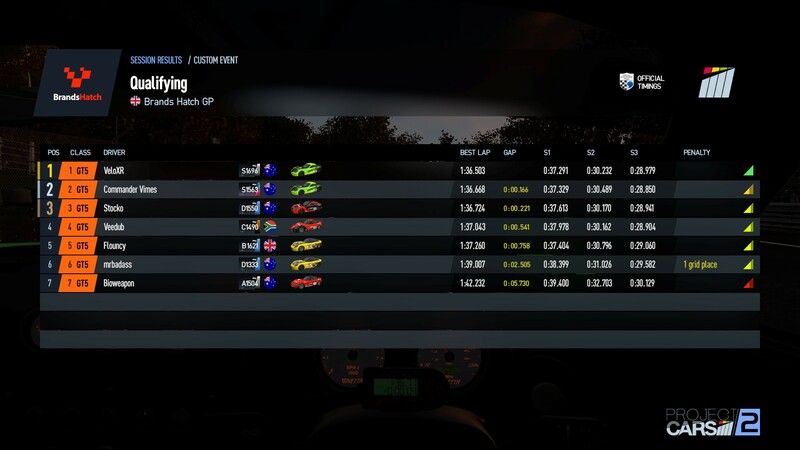 If you could try to complete your lap when you get the timer this would ensure there are no missing results next time. I'll make sure the results include you finishing 6th when Lambo gets to them. Stats for this race are up, except for MT who I need details on race 2. 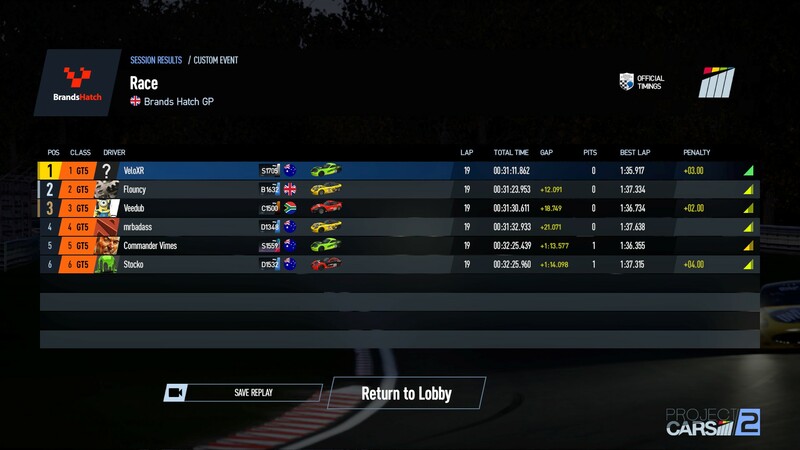 Assuming 6th but how many laps. Yeah. Tran was only a lap down on the lead pack in the end. Statistically it makes no difference, but ok, have noted and adjusted as one lap down.